The Chinese search engine operator’s share of revenue from mobile jumped to 30 pct. Better-than-expected margins suggest heavy investments are paying off. But smaller search rivals backed by giants Alibaba and Tencent are creeping in. Baidu’s margin squeeze may not be over yet. People talk in front of a Baidu's company logo at Baidu's headquarters in Beijing January 16, 2014. Baidu, which operates China’s biggest search engine by traffic, reported revenue of 12 billion yuan ($1.9 billion) in the second quarter of 2014, representing a 59 percent year on year increase. Earnings increased by 34 percent from the same quarter last year to 3.5 billion yuan. Selling, general and administrative costs almost doubled to 2.1 billion yuan compared with the same quarter in 2013. The company attributes the spending increase to promotions for its mobile products. Research and development expenses increased 85 percent year on year to 1.7 billion yuan, the company also reported. 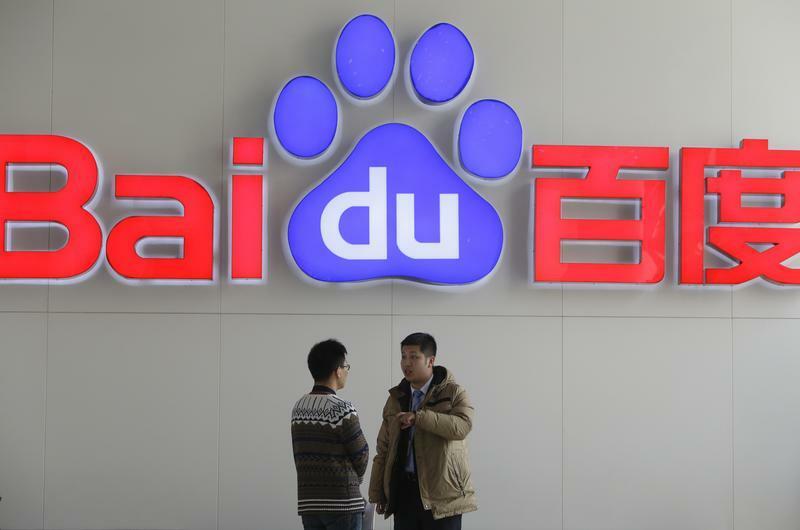 Baidu leads China’s search market with 57 percent of online traffic as of June 2014, followed by Qihoo 360 and Sogou with 26 percent and 15 percent respectively, according to Chinese web analytics firm CNZZ. Baidu has been investing heavily in its mobile products since last year. In 2013 alone, the company acquired 91 Wireless, a third party app distribution platform, for $1.9 billion, as well as PPS, a video streaming site for $370 million. The company also bought a majority stake in travel search service, Qunar, which has since listed in the U.S., for $306 million last year. Social media and gaming giant Tencent bought a 36.5 percent stake in Sohu, who operates Sogou, China’s third largest search engine by traffic, in September 2013. E-commerce group Alibaba also acquired UCWeb, China’s largest mobile browser in terms of monthly active users, in June this year and has since launched a mobile search service. Shares of Baidu rose as much as 7.3 percent in the after-hours market on July 24.